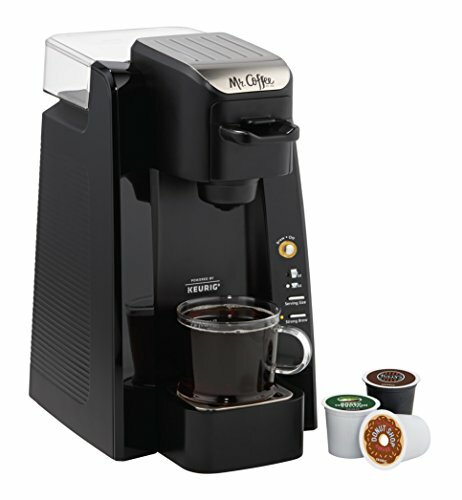 The Mr. Coffee Single Cup Brewing System satisfies every taste when combined with Keurig brewing technology. The Mr. Coffee Single Cup K-Cup Brewing System uses K-Cup packs and now you can brew your favorite grounds with single cup convenience! It's the best of both worlds with an easy, single cup brewing experience, powered by Keurig technology, brought to you by Mr. Coffee. Single cup coffee maker brews K-Cup packs or your favorite ground coffee, producing servings of 6 or 10 oz.